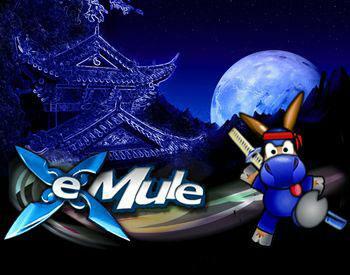 Rate eMule MorphXT.MoD @ emule-mods.de!!! After the last release showed that with progress comes trouble this release is aimed to overcome these troubles. Thus there are no additional changes only changes and fixes to improve usability of eMule MorphXT. So, why took it so long? Well, I kind of found a life for myself and happily lived it for some weeks. Given I am currently the only active developer in the team development will stall when I am shifting my focus so just stay tuned. Anyway, the fixes; I fixed most of the visual quirks that appeared after switching to Visual Studio 2010. Some more fixes have been applied here and there... best you check the Changelog to find out more on this. Big thanks to WiZaRd and the other contributors! Also, the official ratio restrictions have been removed completely, ZZ Ratio is doing the trick for us! It has been brought to my attention that building the source code with Visual Studio 2003 SP1 breaks the CountryFlag feature. Although this is obviously unfortunate I am not spending too much time on this because I don't use that system any more. If you got a fix for the error please feel free to send it to me. Other than that, all currently supported builds have been tested for compiling correctly. This means to say they will compile just fine, error's, however, might still occur in the build because they have not been tested. Just like the last release, this releases focuses on fixing errors that appeared after switching to Visual Studio 2010. As a matter of fact, this version has been stalled for a while now but anyway, here you go. I hope this fixes all errors for you.